A vacuum power amplifier with ambition, MQ-88uC introduces new technology and adds customisation integral to this model’s appeal as a modern day vacuum tube amplifier. Earn 4499 loyalty points when you order this item. Luxman MQ-88uC has an elegant dark brown finish, realising a modern classical appearance reminiscent of their finest legacy products. This model’s improved clarity and warm, accurate audio reproduction, unique to vacuum tube products, and the quality of the components and engineering shine through. Since the launch of the SQ-5A vacuum tube integrated amplifier in 1961, we have continued making vacuum tube amps without a break. We have produced many models that are highly valued as signature models and satisfied music lovers are enjoying them to this day, even several decades after their release. The CL-38uC and MQ-88uC combine LUXMAN's history of producing fine vacuum tube products and the traditional wisdom and skills gained along the way. Due to their relatively simple circuitry, vacuum tube amplifiers are greatly affected by the quality of individual components, hence LUXMAN's own high-quality transformers and blocking capacitors are used. Further customization comes in the form of Nichicon made, high voltage, metalized polypropylene film coupling capacitors, which have been introduced for their supple, natural tone. Improved audio quality has been realized by shortening the internal wiring. The KT-88 output tubes used in the MQ-88uC, made by JJ Electronic, are known for their power and rich sound quality. The triode configuration employed achieves longer vacuum tube life and a highly transparent timbre that vacuum tube amps are known for. The paralleled first stage feeds a driver stage featuring performance proven Mullard circuitry. For the final stage, they have adopted a Mullard compatible push pull configuration to achieve an output power of 25 Watts per channel at 4, 8 and 16 ohm with very low distortion. The MQ-88uC has independent 4, 8 and 16 ohm speaker terminals to better match with and bring out the best abilities of any kind of speakers, allowing powerful music reproduction with very low distortion. The unit features a variable input (volume adjustable) mode in which the signal bypasses the input section, connecting a source device, such as a CD player, directly to the output section. Output transformers play an important role in determining the sound quality and performance of a vacuum tube amp. 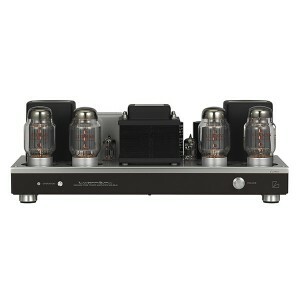 Luxman’s classic amplifier products featured OY15 type output transformers with die-cast aluminum housings. These have been redesigned and reproduced with the original shape. The power supply section features a highly stable El type power transformer in tandem with custom designed blocking capacitors yielding steadfast sound quality and excellent drivability. The main chassis of the MQ-88uC has a dark brown finish, different to the black finish of the MQ-88u. 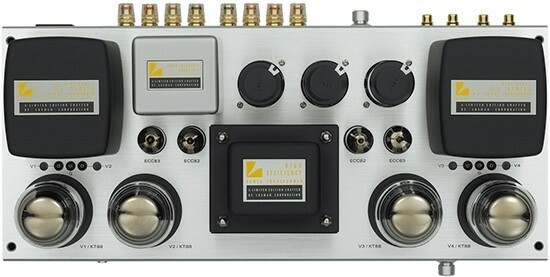 Luxman feel this finish better matches products with wooden exterior cases. The hairline finished aluminum top panel and matt black aluminum die-cast power transformer housings make for a harmonious match, fine quality and beauty being important to the designs.